Home Ancient History AKHENATEN Discovery Changes History Forever! AKHENATEN Discovery Changes History Forever! In this earth-shattering episode full of historic changing revelations, Daniel Liszt and Pyramid expert Dr. Carmen Boulter talk about the shocking discovery of a secret site unearthed in Turkey of an Ancient Egyptian chamber that bears a strong resemblance to King Tut’s tomb and that contains a wealth of Egyptian treasure and lifelike statues of the heretic Pharaoh Akhenaten along with exotic antiquities of the Amarna period. Exclusive photographic evidence provided in this episode to substantiate the claim makes this the most important Dark Journalist episode to date and represents an earthquake for our understanding of the ancient past, Changing History Forever! This amazing discovery would be incredible and historic enough just by virtue of the fact of its being located in Turkey and suggesting that Queen Nefertiti fled with a small band of followers and escaped her husband’s fate at the hands of the corrupt Amun Priesthood. But this historic find has even more secrets to reveal. The early testing of the artifacts reveals the extraordinary data that carbon dating tests put the age of the artifacts at approximately 10,000 BC, which throws a completely new light on the age of royal lineage of the Amarna ruling family. This royal like includes Akhenaten, Amenhotep, Nefertiti, Hatshepsut and Tutankhamen. It raises all kinds of important questions about our ancient history and strongly suggests that this unusual Amarna lineage may have been a Heritage of Blood transferred down from Royal Atlantis and is linked with advanced spiritual understanding and extraordinary psychic abilities. 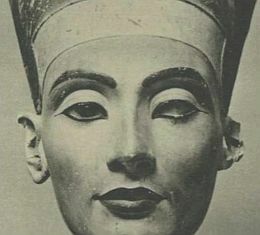 The story of Pharaoh Akhenaten and his wife, Nefertiti has been portrayed by mainstream Egyptologists in a way that suggests that the Amun Priesthood was heroic, in deposing the heretically monotheistic “mad king”, says Boulter. According to her, the real story is much more intriguing and it relates to Akhenaten’s esoteric knowledge about the founding of Ancient Egypt. Why did the Priesthood attempt to strip Akhenaten and Nefertiti from history? Was Nefertiti able to escape, to conceal ancient knowledge of Egypt’s Atlantean past and exotic origins in a secret sacred tomb in Turkey? The newly released Bombshell Photographs answer that question with a resounding YES! Dr. Boulter explains that her new discoveries, inspired by her intuitive sense as well as her expertise as a researcher, reveal that the corrupt Amun Priesthood attempted to eliminate the royal family in Egypt and killed the Pharaoh Akhenaten and his son Tutankhamun (King Tut), but that Queen Nefertiti fled to Turkey and escaped their vicious treachery. She also explores the possibility that Akhenaten and Nefertiti were Atlantean supernatural beings that were giving humanity a new mystical philosophy of peace and spiritual attunement.